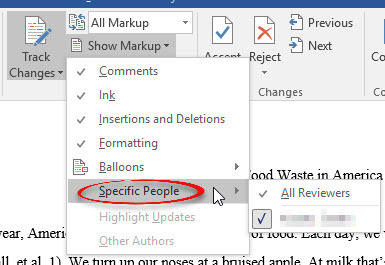 How to track changes in a Word document. This makes it easy for you to see edits done by other users, or keep track of an original draft. Changes and edits will be shown in underlined or strikethrough colored text. This process also works in Word 2013 & 2010. Step 1: Open the original Word document. Step 2: Click the Review tab. Select the top half of the Track Changes button in the Tracking group. Step 3: Begin editing the document. Deleted words are noted in strikethrough, and added words are underlined. Text that is moved is both strikethrough and underlined. See the instructions below for changing the Track Changes options. How to change the display of the edits and formatting with Track Changes. Step 1: In Word, click the Review tab. Step 2: Select the dialog box launcher in the lower right corner of the Tracking group. Step 3: You may choose what Track Changes features to show. Click Advanced Options... for more. Step 4: The Markup options are what you will most likely want to change. You may select a different method to display insertions and deletions from the dropdown menus. You can also change the color of insertions, deletions, and comments. Step 5: You may change other Track Changes options in the dialog box. Click OK when you are finished. 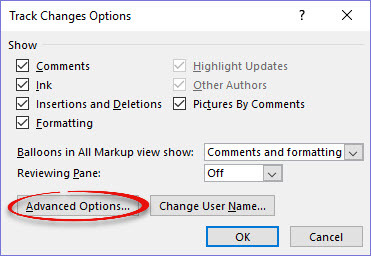 How to choose what Track Changes options appear in the document. If someone sent you a document with Track Changes, but they aren't appearing, you may need to choose to show markups. Step 1: In the Word document with Track Changes, click the Review tab. Step 2:Click Show Markup in the Tracking group. Make sure everything that you plan on viewing has a check mark next to it. Step 3: You may also choose whose markups to show by hovering over Specific People and checking or unchecking a name. Choose which version of the document to show with the Display for Review options. You can see the original document without markups, all markups on the document, or preview the document with changes. 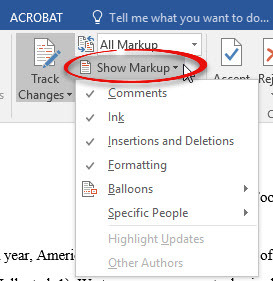 Step 1: Open the Word document with Track Changes. Click the Review tab. Step 2: Click the first dropdown menu in the Tracking group. Select which version of the document to view. By viewing the final version of the document, or No Markup, the changes are not automatically applied. You will need to accept the changes for the edits to take affect in the actual text of your document. See the instructions below. After the document had been edited with Track Changes, you can accept or reject the edits to become a part of your final draft. If you do not accept changes, any edits made with the Track Changes command will not appear in the final draft. Step 2: Click the top half of the Accept button in the Changes group. This will individually accept the changes in your document from the beginning. 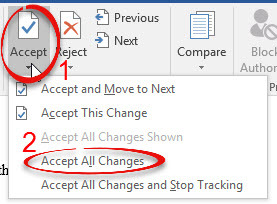 Note: To accept all changes in the document, click the button half of the Accept button and select Accept All Changes. 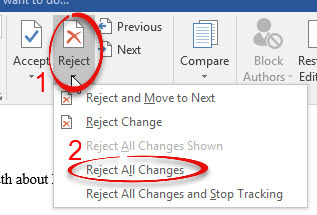 Step 3: If you wish to reject any changes, click the Reject button when that change is up next in the document. 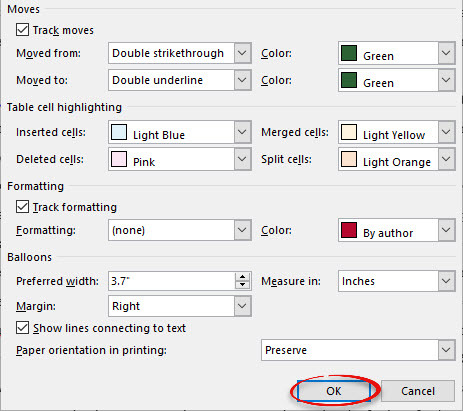 Note: To reject all changes in the document, click the arrow next to the Reject button and select Reject All Changes. For more information, visit these Hoonuit videos.